JOIN YOUR FRIENDS FOR HAPPY HOUR AT THE MIRAMAR, TONIGHT, MARCH 20TH! The September membership meeting for the Coastside Democratic Club was a look at the issues around water on the Coastside. Held at the lovely Klein home in El Granada, two excellent speakers provided thought-provoking information for Club members in attendance. Kellyx Nelson, Executive Director of the Resource Conservation District, spoke about the RCD and its programs and services to the Coastside community. The RCD is a special district that provides assistance to private and public landowners wishing to best manage their natural resources. The RCD helps the Coastside be resilient to drought, flooding, and climate change as well as working to restore habitat for wildlife, to improve water quality, and more. Cathleen Brennan, Water Resources Analyst with the Coastside County Water District. She began by explaining how her agency functions, and then talked about the current drought, mandatory water conservation, alternative water supplies and El Nino. She went into some detail about alternative water supplies, including talking about groundwater, graywater, recycled water, storm water catchment and backflow prevention. There were many questions and comments from the audience. The Club Board has voted to allow members to form caucuses in support of various Democratic presidential candidates during the primary process. Of course, once the Party has selected a candidate, the Club will support that person. The caucuses will be listed on the web site along with ways to reach each caucus. Board Members have volunteered to lead the caucuses. For Bernie Sanders, contact Dennis Paull (dpaull@svpal.org), for Hillary Clinton, it’s Barbara Dye (blkdye@gmail.com), and for Martin O’Malley, contact Kathy Klein (kathyrklein@hotmail.com). OUR SPEAKER HAS HAD TO POSTPONE HIS TALK. WATCH THIS SITE FOR DETAILS ABOUT THE RESCHEDULED EVENT. Climate Change is real and is affecting our planet in many negative ways. The question is how individuals can make a real difference on this issue of global significance. The Coastside Democratic Club meeting on November 14, from 3-5 pm, will help answer this question with a presentation by Gary White from the Gore Climate Reality Project that will provide practical solutions and individual and political steps to make a difference. With what has been called “the most important climate change meeting in history” coming up this December in Paris, concerned citizens are encouraged to come and learn about what can be done regarding climate change. The meeting will be held at a private home in El Granada (1076 Columbus St.; see map below) and will include Gary White’s presentation, questions and a social hour. Gary White is a locally-based climate activist who was trained by Al Gore and his Climate Reality Project. As a Climate Reality Leader, Gary educates and motivates people on the climate crisis. Prior to becoming active in the movement to address climate change, Gary worked as an HR & Corporate Social Responsibility executive for 30 years in high tech in the Silicon Valley at companies such as Apple, Intuit, and Palm. He is a member of the San Mateo Rotary Club and lives with his wife of 15 years in Belmont. Volunteers at the Democratic Club booth included (l to r) Dan Haggerty, Dennis Paull, June Baxter, Barbara Dye, Harvey Rarback, Doreen Gerrity and Frank Gerrity. The Coastside Democratic Club provided a very successful information and voter registration booth at the HMB Pumpkin Festival. Led by Board Member Dan Haggerty, the Club registered or re-registered a total of 96 people over the two days. The Club also accepted donations for pins and bumper stickers for the three major candidates for the Democratic nomination for President. John Lynch encouraged traffic to the booth! Many Bernie Sanders supporters stopped by the booth. Here Dan Haggerty shows his own enthusiasm! Those who might be interested in helping with future voter registration efforts should email Dan Haggerty at Coastdemdan@gmail.com. Led by Club member Dan Haggerty, efforts are underway to register additional voters on the Coastside. Booths have been hosted at the Farmers’ Market and the Fish and Fleet Festival with good results. The Club will also have a booth in front of the Zaballah House at the Pumpkin Festival in Half Moon Bay. Volunteers are needed to help with this important effort! Contact Dan if you can help! We plan to post occasional articles that may be of interest to our members. Here is one recommended by Dennis Paull. All 41 cities, special districts and school districts in the county have approved a resolution for an all-mailed ballot election. 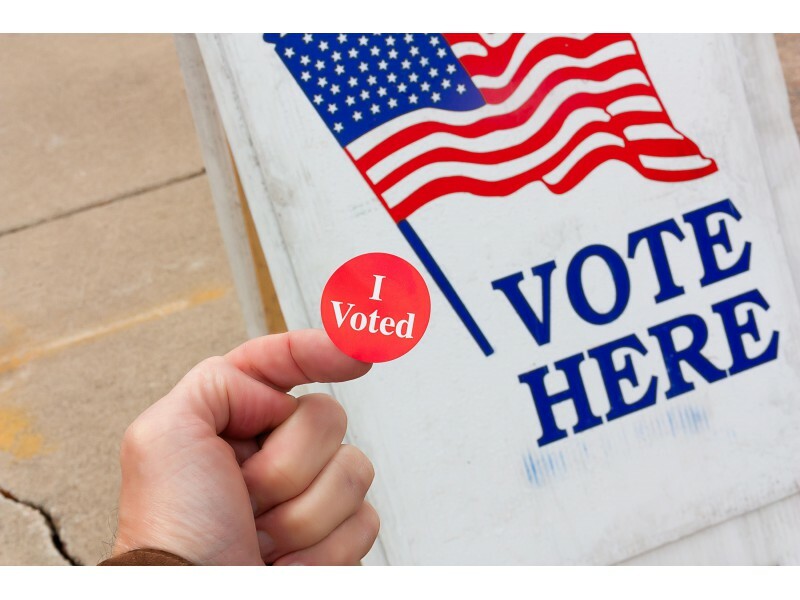 California Governor Jerry Brown signed into law Assembly Bill 2028 on Aug. 15, 2014, authorizing San Mateo County to conduct up to three elections wholly by mail in an all-mailed ballot pilot program, city officials said. Coastside Dems invite you to participate! Coastside Democratic Club is seeking help with the activities for the coming year. Please take a look and consider whether you could donate a few hours a month to support causes you believe it. The email address for each committee chair is at the end of the description, though they are not live to prevent spamming. Just cut and past them to send a message. We are looking forward to hearing from you! I wish to inform you that we are in full support of the duly elected Harbor Commissioners and feel that they need to be given an adequate amount of time to correct the mismanagement of past administrations. Many of us have been working over a decade to clean up the harbors both physically and financially through the electoral process and we see the new Commissioners working to accomplish our shared goals. Coastside Democrats requests that LAFCo maintain the SMCo Harbor District sphere of influence and support the voters of San Mateo County. Improvement of infrastructure and facility, better maintenance and capital projects to enhance the safety and operations of the harbor. Implementing a capital improvement plan and accounting system, including a five year ‐ Capital Improvement Program (CIP) that is reflected in the budget. Add a cost accounting system to track cost for enterprise versus non-enterprise. Stop paying Health Insurance Benefits for Commissioners, upon commencement of reelected Commissioner’s new term of office. The board voted unanimously to support relocating the District’s headquarters near Pillar Point Harbor. And the new board voted unanimously to designate the Harbor District as the lead agency in the sand replenishment effort at Surfer’s Beach. As you may know, had previous Boards or San Mateo County taken this action when the community requested it many years ago, the County would not be in the position now of scrambling to shore up Hwy 1 at this location at a great cost to the California taxpayers. There are other issues which you should consider, as referenced in your update, when you consider your service review. You cite 56430 (a) (2) “The location and characteristics of any disadvantaged unincorporated communities within or contiguous to the sphere of influence”. As you know, Pillar Point Harbor on the San Mateo County coast is a major source of jobs both in the fishing industry and the tourism trade. Over half the population on the Coastside resides in the unincorporated area surrounding the harbor. There are many people dependent on the health and functions of a strong Harbor District, as well as many visitors to this area. The County, due to its structure, complexity and breath of services, has historically been unable to meet the specific needs of each of its unincorporated neighborhood communities. Likewise, we think it will be unlikely to balance and adequately prioritize the competing demands of a harbor district. Let me remind you that Granada Sanitary District (Granada Community Services District) and the Montara Sanitary District (Montara Water and Sanitary District) were formed to provide the unincorporated communities with needed services when the County decided not to do so. Finally, any discussions on changing the structure and make up of the Board will be monitored carefully and will be scrutinized to ensure that the will of the voters of San Mateo County is not undermined. Please include this letter in the Commission packet.